ANSBACH, Germany (Feb. 8, 2019) – “Was ist los in Franken?” details off-post community events and activities occurring throughout the Franconian region. The Nürnberg Fasching parade, the oldest of its kind in the world, leads 49 decorated wagons and more than 3000 participants through the city on Sunday, Feb. 11, beginning at 1 p.m. The route takes the parade from Am Stadtpark to Pirckheimerstrasse, Bayreuther Strasse, Rathenauplatz, Laufer Tor, Innere Laufer Gasse, Theresienplatz, Obstmarkt, Museumsbrücke, Königstrasse, Kaiserstrasse, Josephsplatz and finally Vordere Ledergasse. The best strategy to watch the parade is to pick a spot along the route and wait for the fun to come to you. For more details, go to https://www.facebook.com/events/962431477167389/ or www.fnf-nbg.de. “Rudelsingen,“ a karaoke sing-along with German and English songs takes place at the Ansbach Kammerspiele (Maximilianstr. 29) Feb. 13, starting at 7:30 p.m. To learn more, visit https://www.facebook.com/events/597224530737202. A carnival parade takes place in Wolframs-Eschenbach Feb. 24, starting at Steingrubenweg towards the downtown area at 2 p.m. A party follows at a local restaurant. The traditional Chinese Fasching in Dietfurt is a popular event in the region. It always takes place on ‘crazy’ Thursday, which falls on Feb. 28 this year. The town criers, called “Maschkaras,” wake up the town at 2 a.m. with lots of noise. The party downtown on the stage in front of the Rathaus (city hall) starts at 1 p.m.; at 2 p.m. the parade begins to move from Industriestrasse through town towards the town center, where the annual proclamation of the emperor is held. For more details check out www.dietfurt.de/chinesenfasching or https://www.facebook.com/events/188446791514733. The town of Spalt is hosting a Fasching parade and party on crazy Thursday, Feb. 28, starting at 8:20 p.m. Party goers have an opportunity to hop on a shuttle bus at several locations (see Facebook post), and ride the bus back in the wee hours of the morning (pre-registration required!) ; bus ride and admission price can be paid cash on the bus. Learn more at https://www.facebook.com/events/1018647158215872. 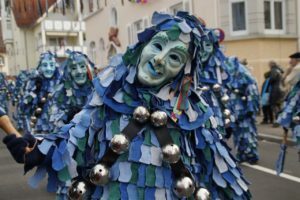 A traditional Fasching parade takes place in Ornbau on March 3 starting at 1 p.m. at “Am Kalkofen” and moving through town to the Stadthalle. More than 30 decorated wagons and music groups are participating in the event. To learn more, visit https://www.facebook.com/events/1553105925000495. Considered the largest of its kind in West Middle Franconia, the town’s Fasching parade takes place on Sunday, March 3 in Mitteleschenbach, starting at 2 p.m. Many groups with decorated wagons, marching groups and bands are expected in this traditional event. To learn more, visit https://www.facebook.com/events/1568285493494483/ or go to www.diemoenchswaldfuechse.de. The Nürnberg Tiergarten celebrates Fasching March 4 & 5 during normal opening hours. Every child (up to 13 years) dressed up enters for free. Children under 14 years must be accompanied by an adult. To learn more, visit https://www.facebook.com/events/543048122860746/ or go to www.tiergarten.nuernberg.de. Ansbach’s youth participates in a parade on Rosenmontag, March 4, through the old part of town. Children in costumes who would like to tag along assemble at 2:15 p.m. at the Martin-Luther-Platz. A percussion group leads the kids through town, ending up at the Onoldiasaal (Nürnberger Str. 32) around 3 p.m., where a party with music, clowns, magicians, face painting, games and much more takes place (ending at 6 p.m.). The Fasching or carnival season is also known as the “fifth season” in Germany. It is a time when Germans loosen up a little, dress up in funny costumes and party for days at a time. 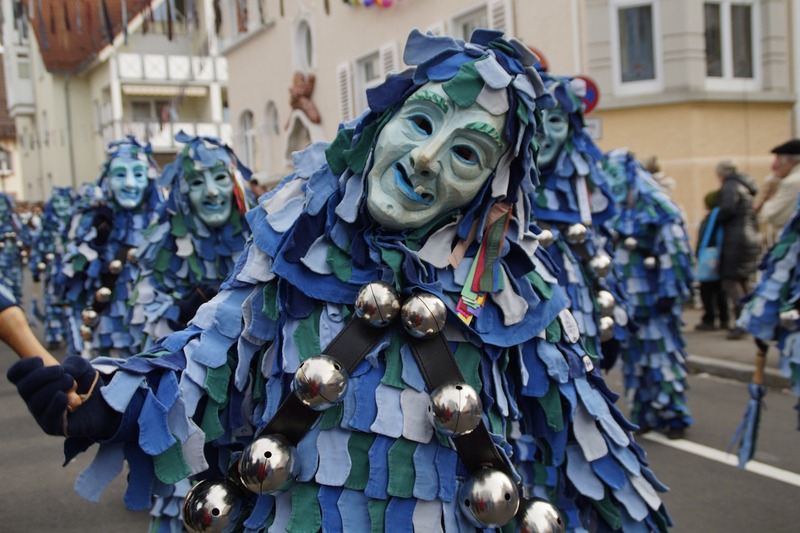 Read more about local carnival traditions at https://ansbachhometownherald.com/fasching-fastnacht-karneval-fifth-season-upon-us/. Volksmarches or “Internationale Wandertage” are a form of non-competitive physical fitness training, which takes the participants through some of the most beautiful landscapes in Germany. The walking distance varies from 5 to 10 or 20 kilometer routes on scenic trails through forests, along rivers and lakes or around historic sites. There is no set start time, but a window of time for hikers to start the route, and finish it at their own pace. Trails are typically marked well along the way. Many trails are stroller-friendly and provide great opportunity to explore the countryside. After the walk the local hiking clubs usually offer food and drink in a hall or tent, sometimes even at a half-way point. Avid hikers can get a hiking passport stamped each place they participate, and many clubs reward their visitors with a small token. To find local hikes, visit https://www.dvv-wandern.de/regionales-angebot/franken.html.